Hexton Manor & The Walled Garden Marquee, the perfect wedding venue. 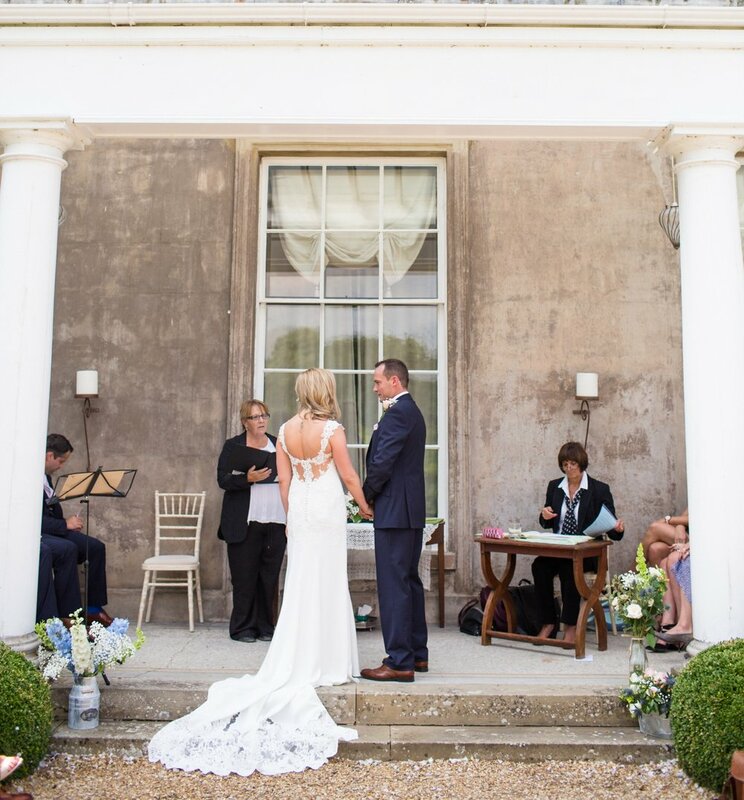 Holding civil ceremonies within the grand hall or outside on the veranda over-looking the lake and private lawns is the perfect backdrop. Either can seat up to 100 guests, followed by reception drinks by the lake. Our bespoke marquee is created just for you and gives a blank canvas to create your day, your way and add that personal touch and provide memories that will last forever. Our marquees have a unique and modular design that can be tailored to meet your individual needs. They incorporate easily, detachable sides, dance floors, carpets, tables, chairs, chill out furniture, lighting, luxury toilets and interior décor. Heaters can also be provided if required. You have the creative license to design every final detail from interior colour choices through to mirrored bars and illuminated dance floors. The choices are endless and working with our experienced wedding planner at Hexton Manor. The only limitation is your imagination. To hold your civil ceremony and marquee reception at Hexton Manor please get in touch. Freedom and flexibility is the key to providing a day that is tailored to suit you and your requirements. Something that no other venue offers. Giving you the choice to pick and choose your menu for your day, whatever your taste. We work with a selection of hand picked caterers who offer a wide range of menu and price options to suit your budget and taste. You can choose from fish & chips, afternoon tea, hot & cold buffets, 3 course wedding breakfast and a la carte menus. We also allow external caterers to be brought in at the agreed rate that we charge our preferred suppliers. Choose a reception drink, whether it be an arrival Pimms, Bellini, Prosecco or Champagne, the choice is yours. Followed by your choice of wines to serve to your guests during the wedding breakfast, finished off with a glass of champagne. At Hexton Manor we allow you to supply your own drink for the wedding breakfast until 7pm. The Walled Garden will then operate a full pay bar from 7pm - 11.30pm. Hexton Manor can provide our couples with a full list of quality suppliers with services ranging from Flowers to Fireworks and Magicians. Please email sarah@hextonmanor.co.uk for our full supplier list.